I planted one butternut squash plant in mid May. It was a fairly large plant at that time. 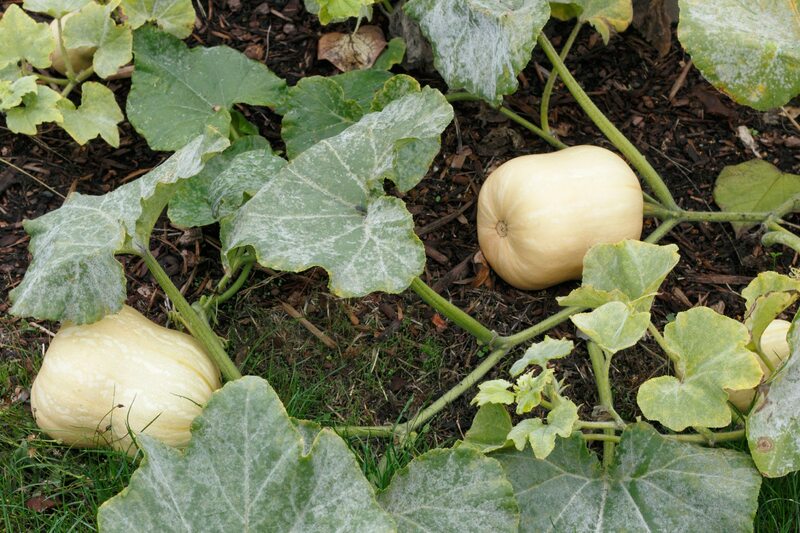 It has 8-10 squash one it in various sizes. They are all some shade of beige and the stripes appear to be gone. The bush seems to be dying. Is this the time to pick them even though it is only July? Will the smaller ones be good for eating?